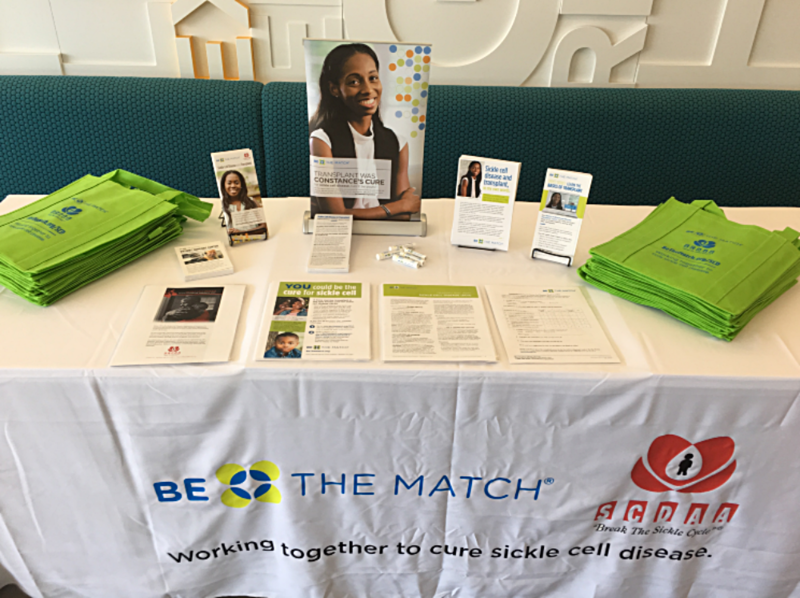 The Sickle Cell Disease Booth in a Box is a free toolkit, which includes an array of patient-centered educational resources and giveaways to educate patients and families about blood and marrow transplant (BMT) for sickle cell disease (SCD). It can used at community health fairs, conferences, and other events. Inside the Booth in a Box are several SCD educational sheets and transplant recipient testimonials, tabletop and floor banners, free lip balm tubes and bags to attract people to stop and talk, and a tablecloth which includes logos of Be The Match and the Sickle Cell Disease Association of America (SCDAA), our partner in developing these materials. Instructions to set up the display and prepaid return labels are also included. Many patients and families affected by SCD may not know that BMT is a potentially curative treatment option. This toolkit is a great way to disseminate information and raise awareness. The SCD resources provide answers to many questions such as how much does a transplant cost, what are the risks and benefits, and whether a sibling with sickle cell trait can be a donor (the answer is yes). If you’d like only a resources box (excludes items that need to be mailed back such as the tablecloth and banners), please include that in the request form.